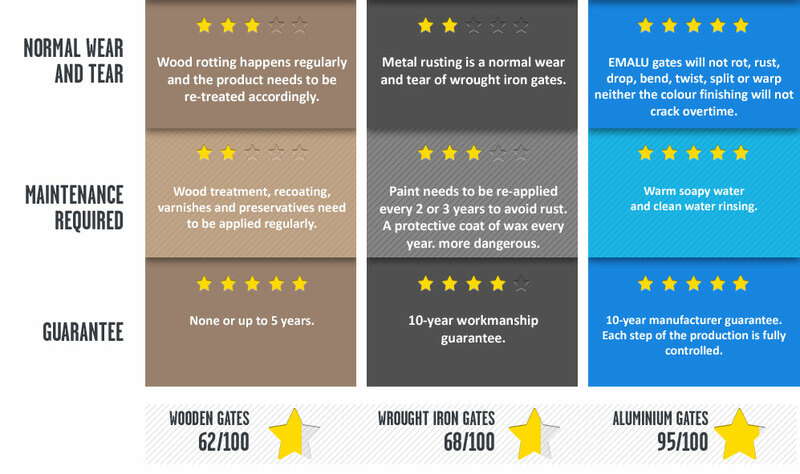 Why would you prefer Aluminium instead of wooden or wrought iron gates? A recent independent consumer survey showed why you might want to consider your new building project or replacing your old wooden or wrought iron gate for an EMALU aluminium gate. We asked an independent consumer panel about their main criteria when choosing a new gate for their driveway and garden. 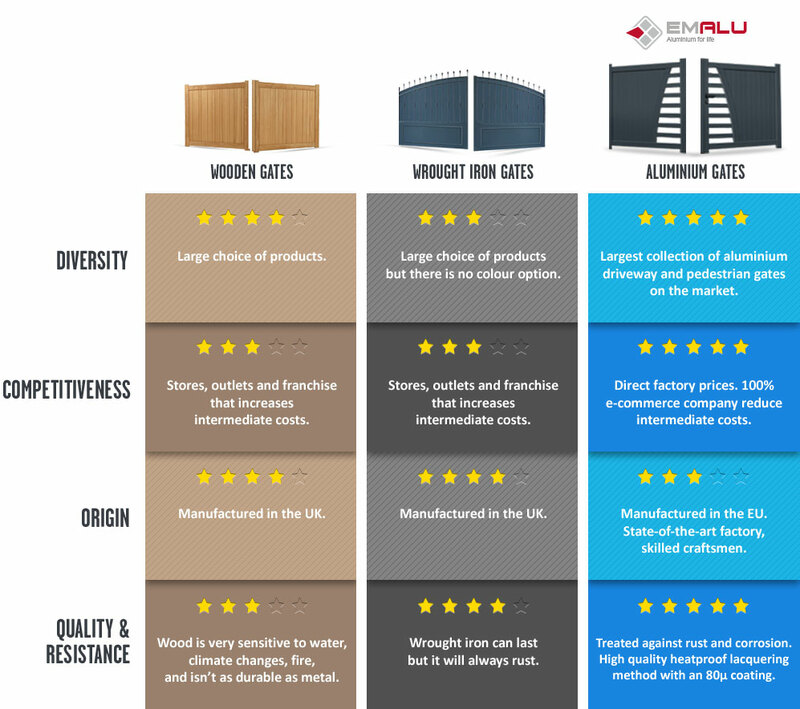 Before, people had a choice between traditional wood, metal or wrought iron gates, they may not have even thought about a gate made out of 100% recyclable aluminium. The panel selected 10 relevant points to look at and to give a rating from 1 and 5 stars between wood, wrought iron and aluminium material for their driveway gate project. The conclusion was amazing, and without the panelists knowing that Mister Gates Direct was directly involved, the overall rating showed that the choice for an Aluminium gate was unanimous!